Sizzling summer barbecues aren't all about beef burgers, chicken skewers and foil-baked salmon (although, of course, those dishes are all delicious). 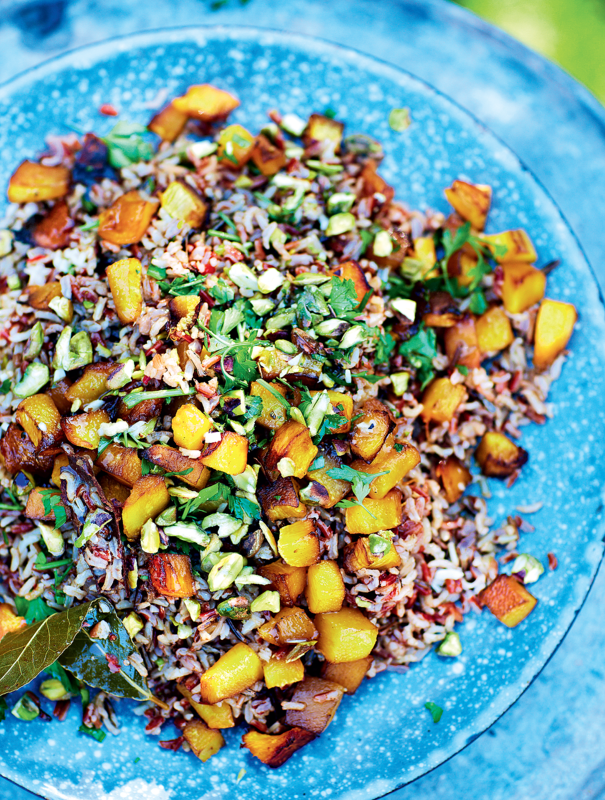 In our opinion, a barbecue isn't complete without a cracking vegetarian dish or three. 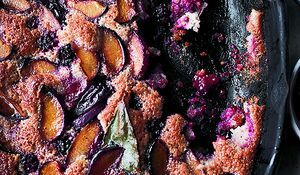 Here we've listed our ultimate 10 recipes including a range of mains, sides and salads. By the end of this article, we can pretty much guarantee you'll be after a grill loaded with veg. 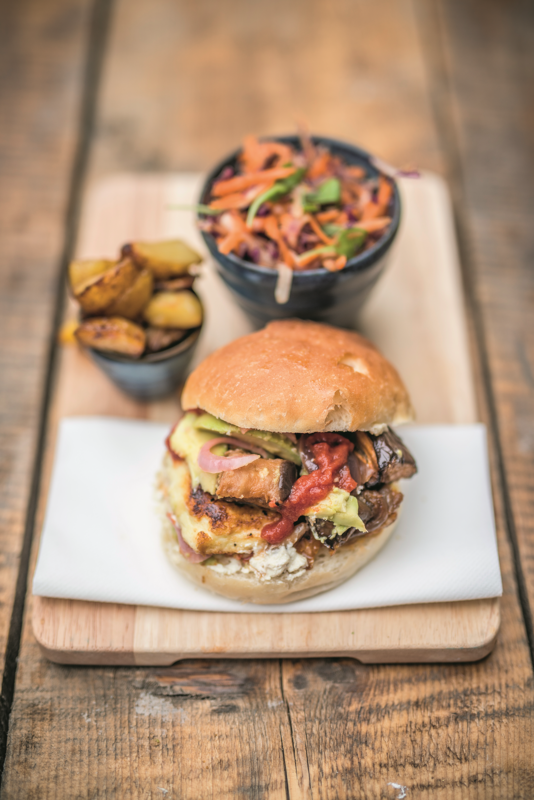 These burgers from The World of The Happy Pear are a favourite with vegetarians and meat-eaters alike. Our advice when making this recipe? Double it. They'll disappear in no time. 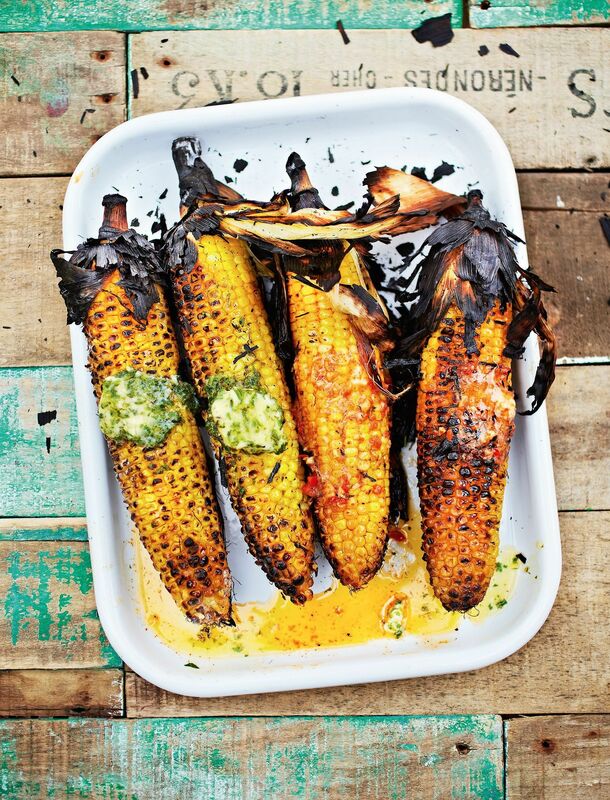 This whole sweetcorn recipe from Grill it with Levi is a barbecue staple. Levi's flavoured butters take the sweetcorn to a new level of flavour - would you go for the lime and coriander, Parmesan or chilli butter? 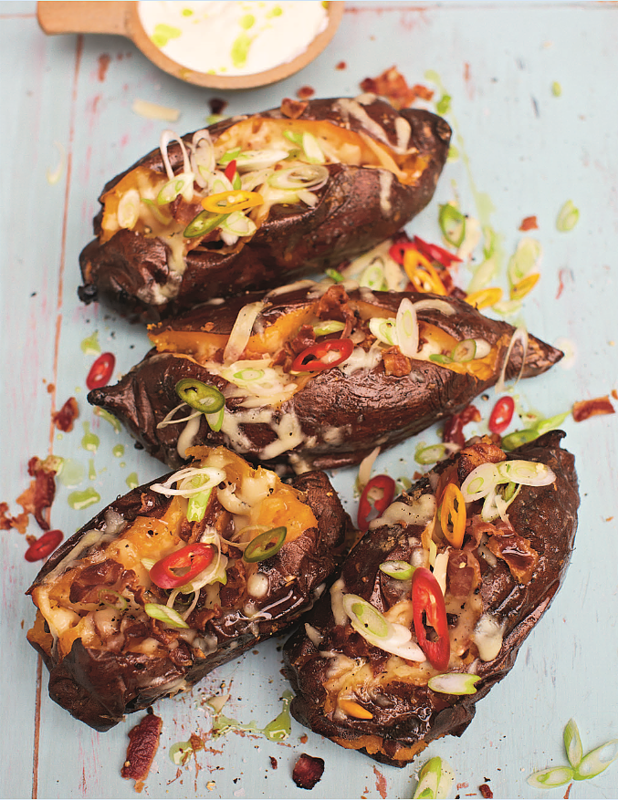 These outrageous sweet potatoes from Jamie's Food Tube: The BBQ Book are a great recipe for a crowd. And if you've got meat-lovers at your barbecue too, you can always top the sweet potatoes with bacon, as DJ BBQ suggests. Upgrade your usual barbecue salad with this sophisticated recipe from Grill it with Levi. 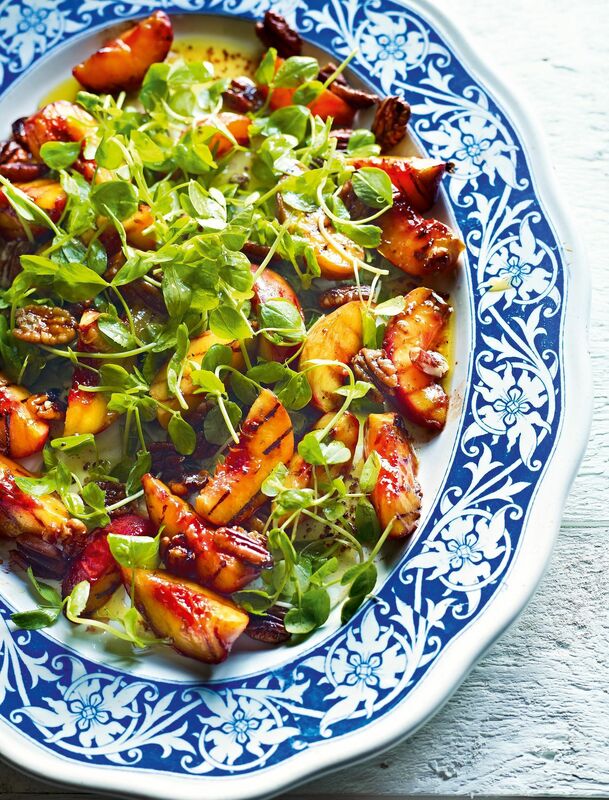 Although this recipe looks delicate with pretty peaches and curling watercress, it still packs a bold punch of flavour. 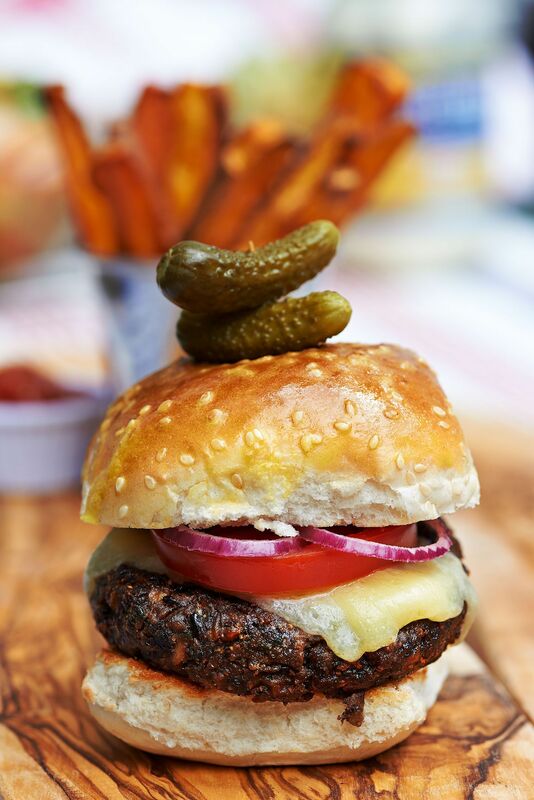 Even though this recipe from At My Table uses a combination of black beans and mushrooms rather than beef, theses burgers are undeniably meaty. A brilliant recipe if you're looking for a beef burger substitute and irresistible when served with all the trimmings. This rice dish from Grill it with Levi makes for a great main or side. Whilst you can make this dish at any time over the Summer, we think it's best enjoyed during late Summer when pumpkin starts to come back into season. The epic combination of caramelised sweet potato, smoky garlic, fresh mint and biting chilli is extremely hard to beat. 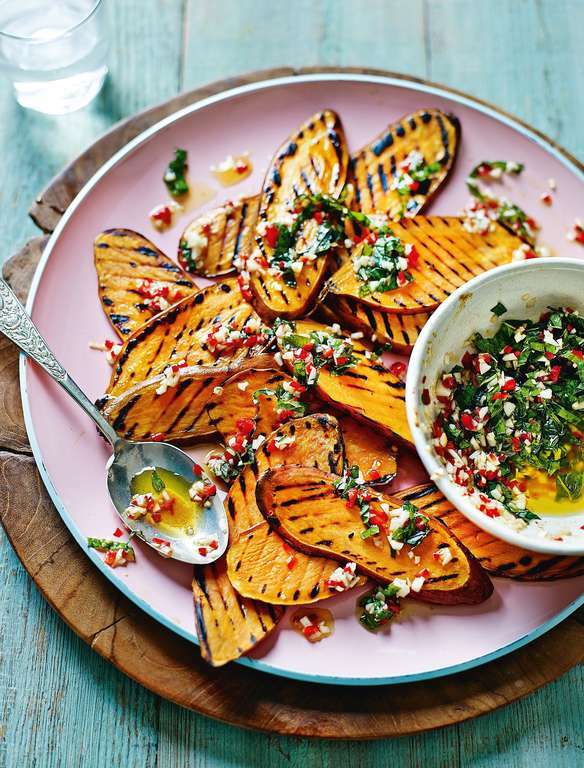 Once you've tried this recipe from The Sunshine Diet it's unlikely you'll ever cook sweet potatoes in the same way again. This simple salad from Low and Slow is a brilliant recipe for anyone who loves chucking ingredients straight onto the barbie. 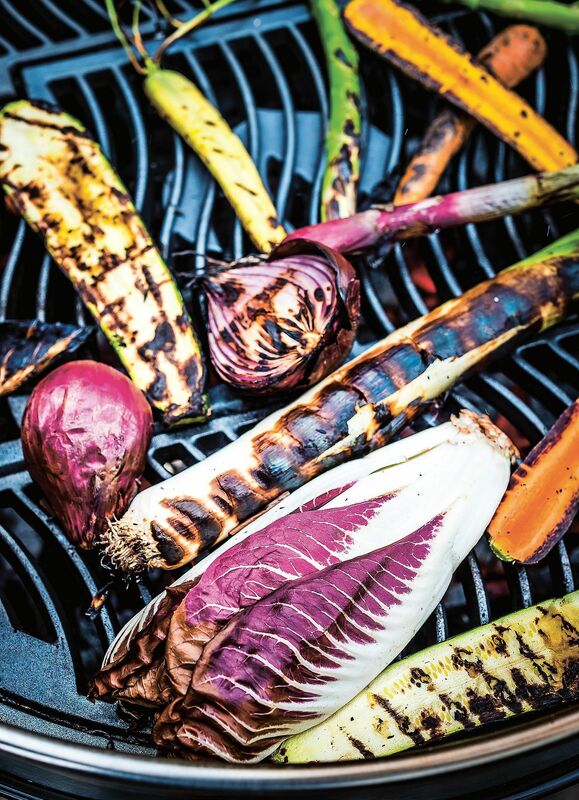 The charred vegetables have an intense, smoky flavour and look so impressive next to a barbecue feast. Trade in that heavy, creamy supermarket coleslaw for this zinger of a recipe from Grill it with Levi. 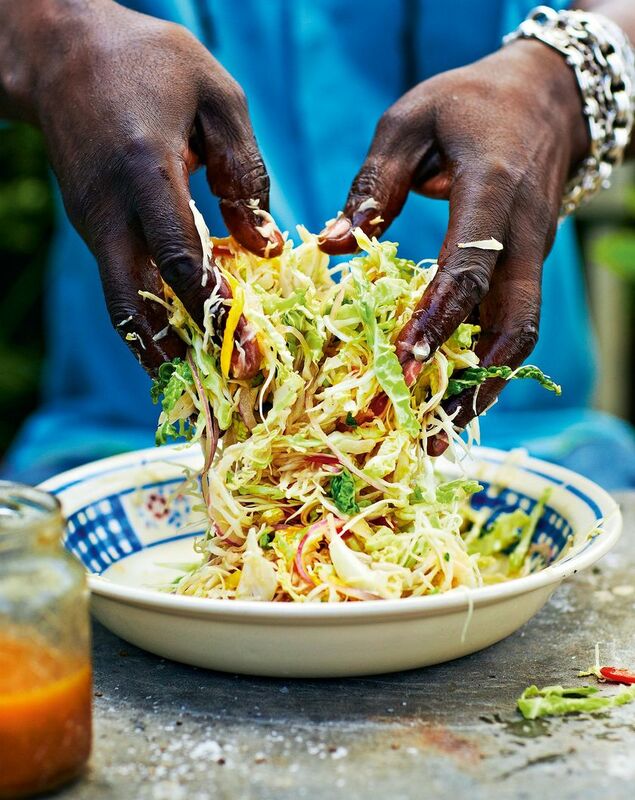 Sweet with mango and brown sugar, savoury with cabbage and packing a punch of heat with fresh chillies, this Caribbean Coleslaw will likely make an appearance at every barbecue of the summer. Eggs are easy, right? 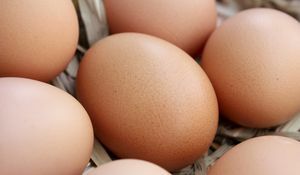 So, why is it that cooking poached eggs casts fear into the heart of so many home cooks. 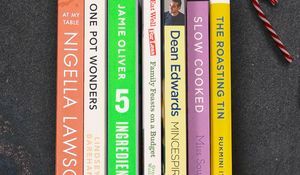 We've rounded up half a dozen of our favourite cookery authors to tell us how they get their poached eggs perfect every time.